I just bought this with Rendo's 25% coupon for purchases of $25 and over. I have several Marilyn morphs but this looks to be possibly the most accurate one yet. You'll note that Studio Art Vartanian, the designer, used Lady Gaia Hair with the character and is providing a freebie morph for that hair as an add-on. I think for "early" Marilyn you'd use AprilYSH's Portia hair (one of my favorites, BTW) and Lady Gaia for the later 1950's; the hair in the promos looks a lot like her The Prince and the Showgirl 'do. There are a lot of other names (I'm big on classic movies :) ) but those will do for now. One thing I'm considering is trying to make my own morphs based on the above; I've seen references on the net to a procedure for using The GIMP (freeware similar to Photoshop) and freeware character textures to make character morphs from photographs. If anyone has tried that, I'd like to hear what sort of results they've gotten. Finally, I'm buying "My Hollywood Crush" as it's on sale this weekend but aside from Marilyn I'm not sure who the actresses featured are. Yeah, the texture is the make-or-break, you can shape a character pretty close but if the texture is wrong, it'll still not look like them. The shape is ok (would really need to custom sculpt to get more accurate rather than just the evolution morph packs), but without a decent texture, doesn't look much like her at all. Gotta agree about the golden-age celebs... the current crop seem to have something lacking about them. I keep meaning to do a few more characters, although they would be for Genesis, not V4), but always seem to keep running out of time - maybe I should disconnect internet for a day and see what I get done, hehehe. I just had another thought, or rather question, about hair sets and Marilyn morphs. I think I'd give my left arm (cos my right does all my favourite things) to get my hands on a Helen Slater Genesis morph from her Supergirl days. The movie might have been terrible, but her pretty face just about made it bearable to watch. Cheers, but unfortunately, I don't have enough spare time at the moment for doing V4 characters as any spare time I do have would be spent on new characters I would personally use, which means Genesis I'm afraid. It might be a wee bit too dark, but it'll be better than a "standard white" skin. 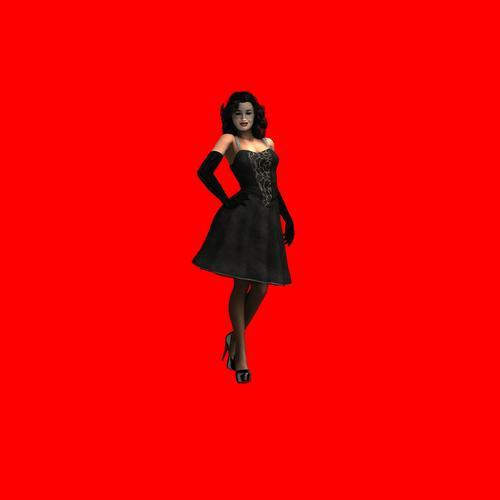 I'm running a render now to see what it looks like. Nice going, I thought Gen X wouldn't work in DS 4.5!? How well do you think that might work? I have a LOT of good portrait images of classic actresses (not just Gina!) to experiment with. Does she look like Cote de Pablo (Navy CIS) or is it just me? I heard from several others that it works just fine, it's definitely on my list now. I see Cote de Pablo, too. It's a close call. I went with J'Lo but I think I will change it to Beyonce. I saw more of the hair style on Beyonce than on J'Lo on my second look. Looks more like Beyonce to me. Well, it certainly isn't J-Lo! I did notice immediately that it looks like her. A little better than the real one though. Yup, she's not one of those 100% morphed models. Which is good in a way. Don't know of any for M3, but Uzilite's freebie Super Hero outfit for M4 includes a Chris Reeve-inspired morph. And of course, WERTS had a fantastic one for M4, but like all his stuff (except the handful converted by Marieah), it's no longer available. 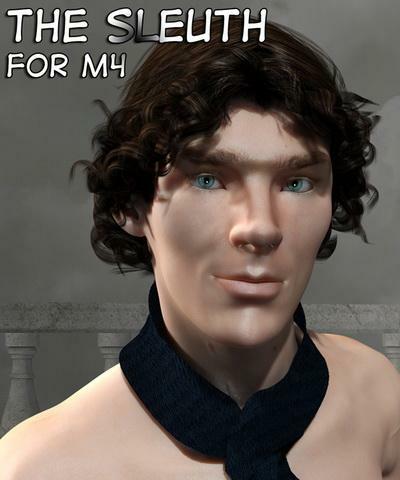 I think Henrika's The Sleuth for M4 is a better likeness. Though it's only available at 'Rotica at the moment as far as I know..
Not sure about that myself, the Rendo one has a better texture. I agree that the Tempesta3d Edmund has a nicer set of textures though I think the Henrika sculpt is closer to the actor. Does anyone know of any Three Stooges morphs? Preferably all six of the knuckleheads.